What makes China Bowl Legendary? Years before it was officially open to skiers, China Bowl had been named for its headwall, visible now from the top of Orient Express, Chair 21. This long limestone formation reminded early Vail skiers of the Great Wall of China. China Bowl, along with Tea Cup, Siberia, & Mongolia Bowls, opened in 1988. This expansion more than doubled Vail’s skiable acreage and further solidified Vail’s reputation as having the best bowl skiing. 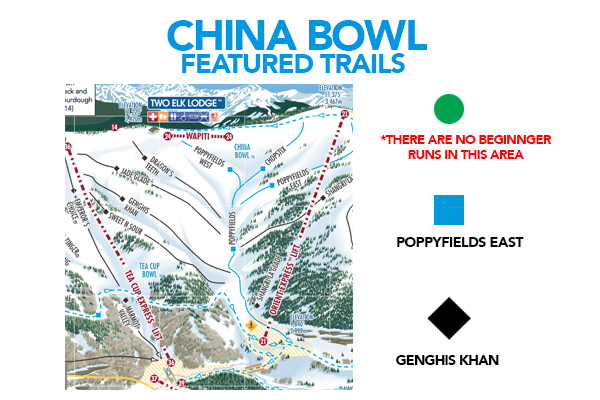 China bowl provides wide open fields, as well as gladed runs. From Mid-Vail: Ride Chair #4, take the Timberline Catwalk to Chair #14. Difficult blue terrain, sometimes groomed. 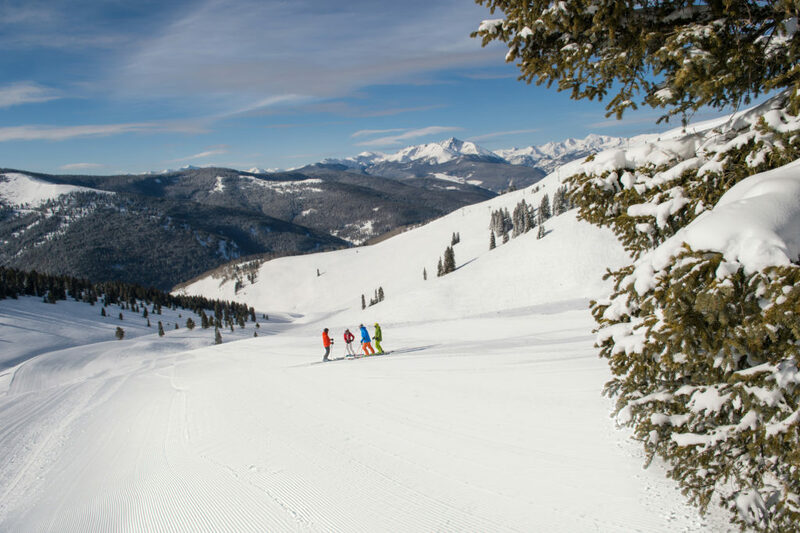 ■ Poppyfields East: The only groomed blue run in the Back Bowls, it’s a perfect introduction to Back Bowl skiing in Vail. Plus, you can’t beat the view. Once you’re at the bottom, take the catwalk back to the legendary Blue Sky Basin. ◆ Genhis Khan: It is steep, wide open, and a powder day dream. 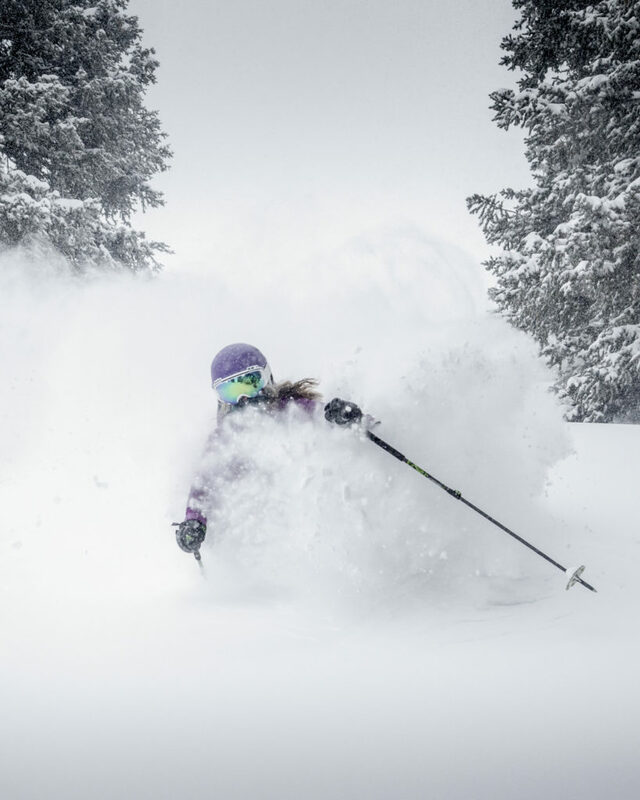 This is what makes Genghis Khan one of the most Epic runs on all of Vail Mountain. Powder skiing on Headwall. Photo by David Neff. Poppyfields East. Photo by Jack Affleck.